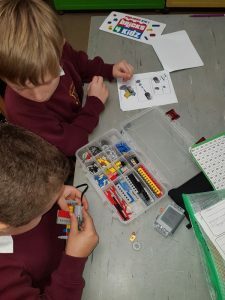 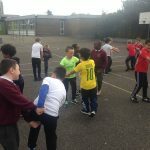 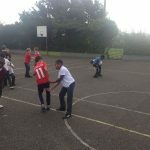 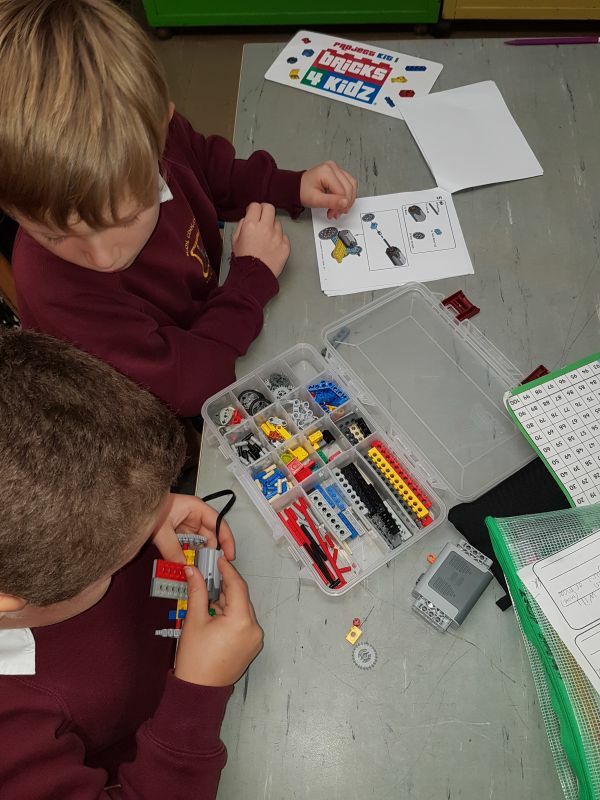 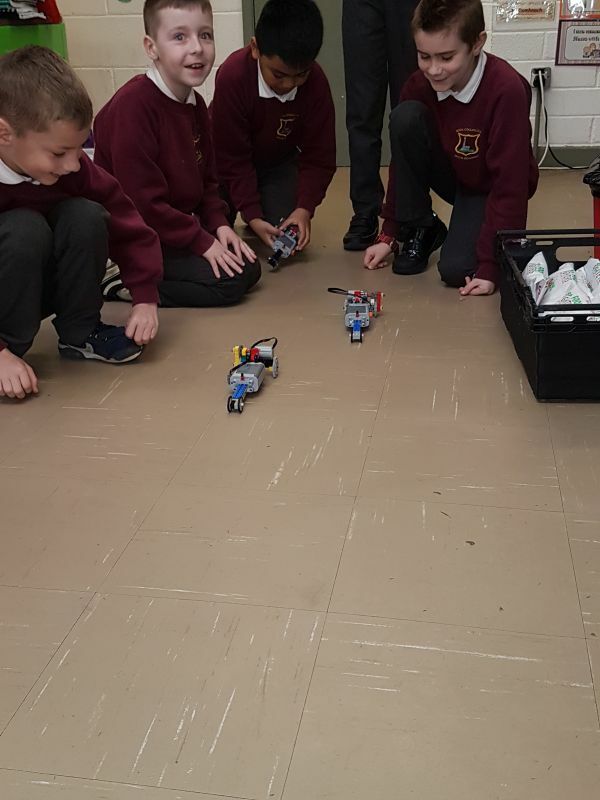 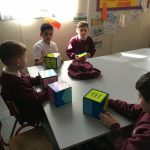 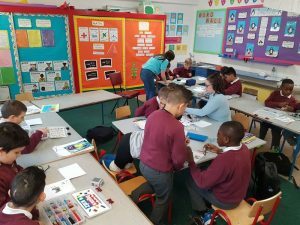 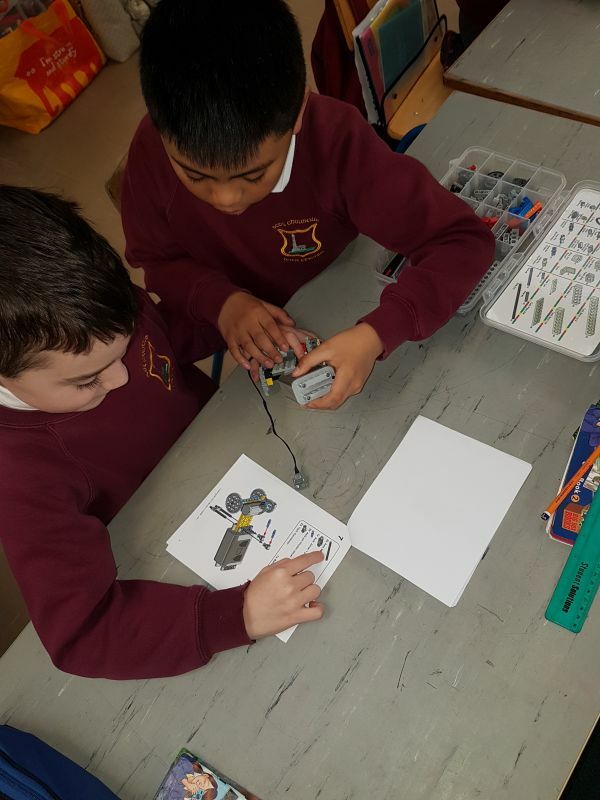 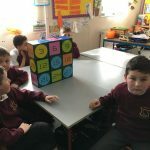 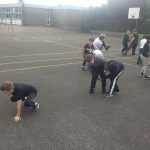 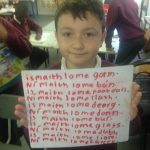 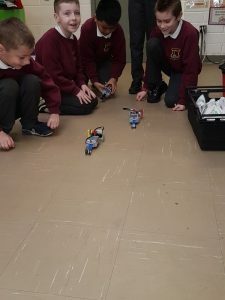 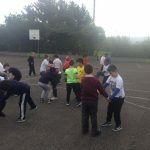 Over the past month 2nd class have been super busy! 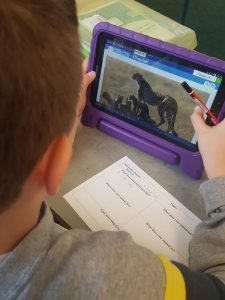 Pupils researched and wrote reports about animals. 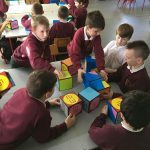 We were also very lucky to take part in a Bricks 4 Kids workshop. 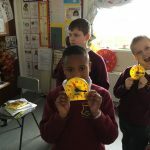 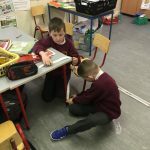 Lots of measuring work was done in Maths, especially measuring the length of objects and weighing them and for St. Patrick’s Day we made shamrock men. 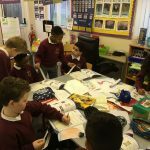 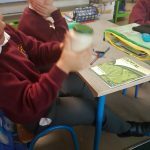 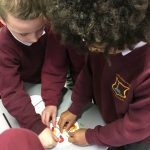 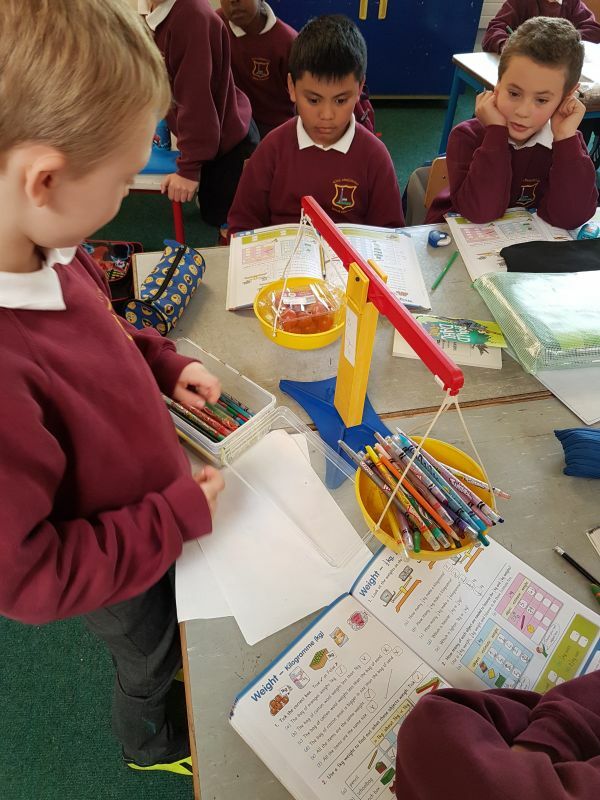 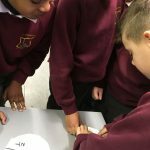 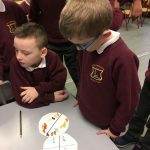 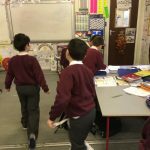 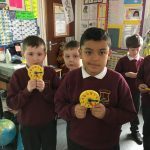 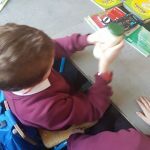 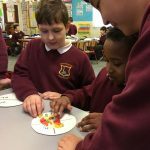 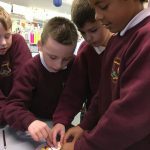 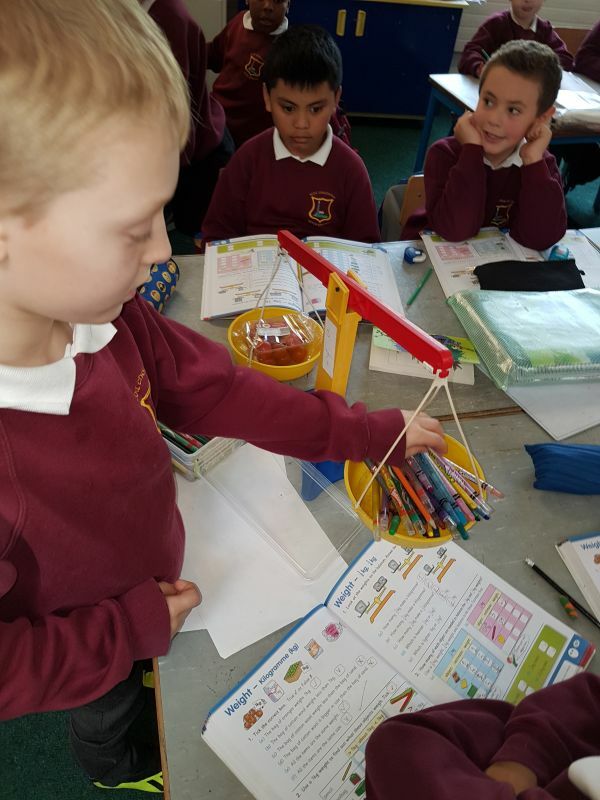 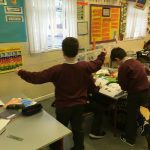 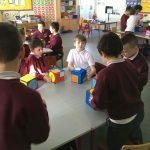 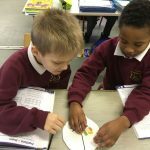 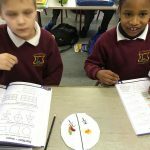 2nd class investigated materials in their science lessons. We discussed how certain materials can change. 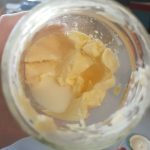 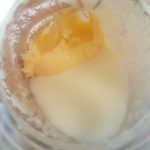 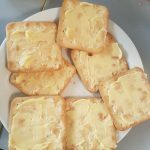 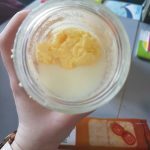 We tried out an experiment to show how cream can change to butter. 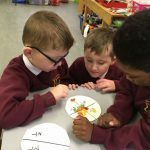 Everyone got a little taste of their creations. 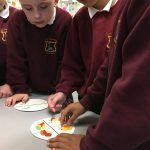 What a tasty science lesson! 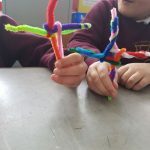 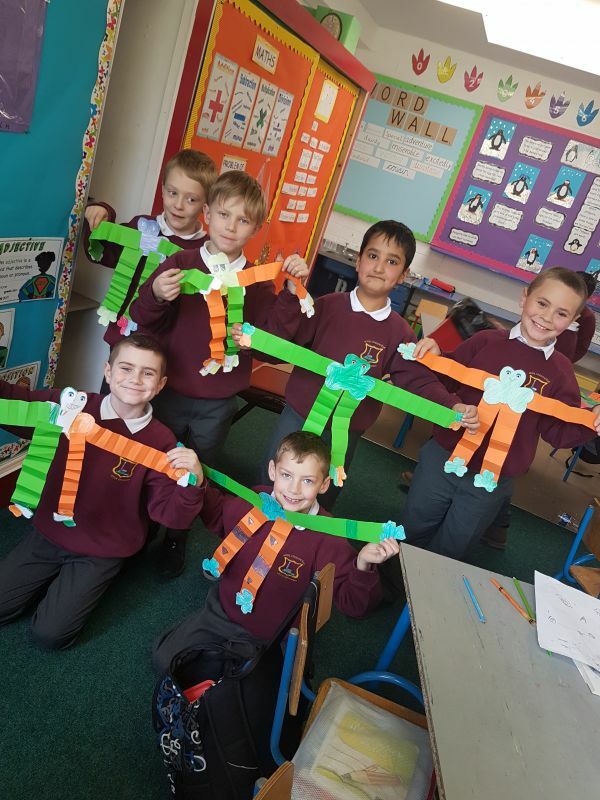 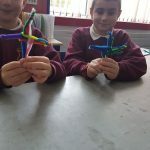 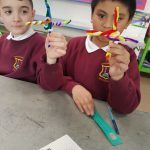 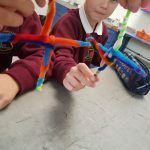 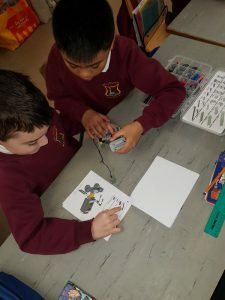 Miss McDaid’s class celebrated Saint Brigid’s day by making their own Saint Brigid crosses using coloured pipe cleaners. 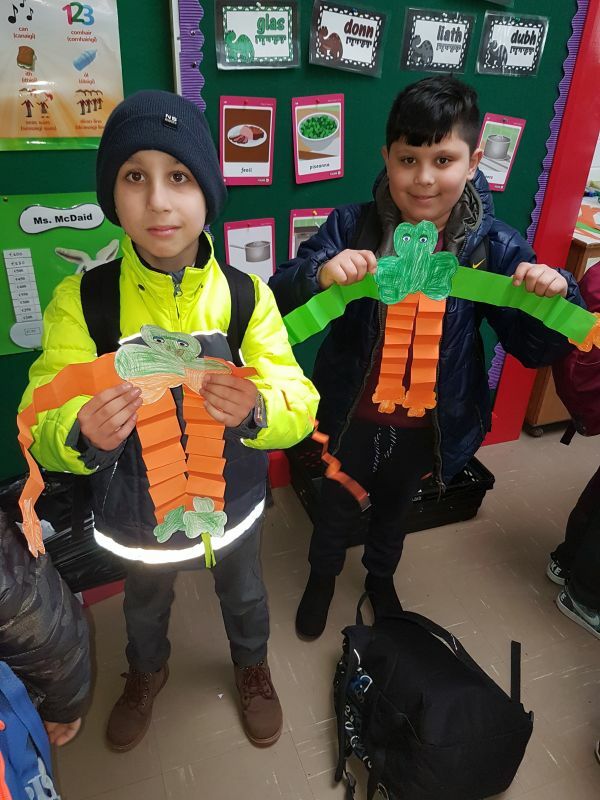 We think they look fantastic. 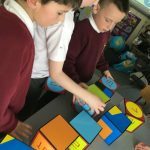 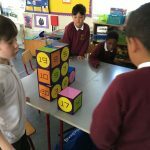 A tasty way to practise fractions! 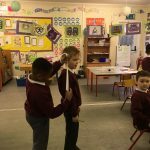 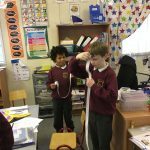 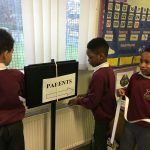 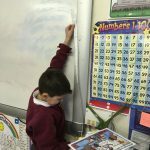 The children got involved in some hands on measuring! 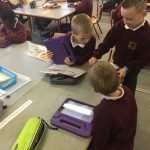 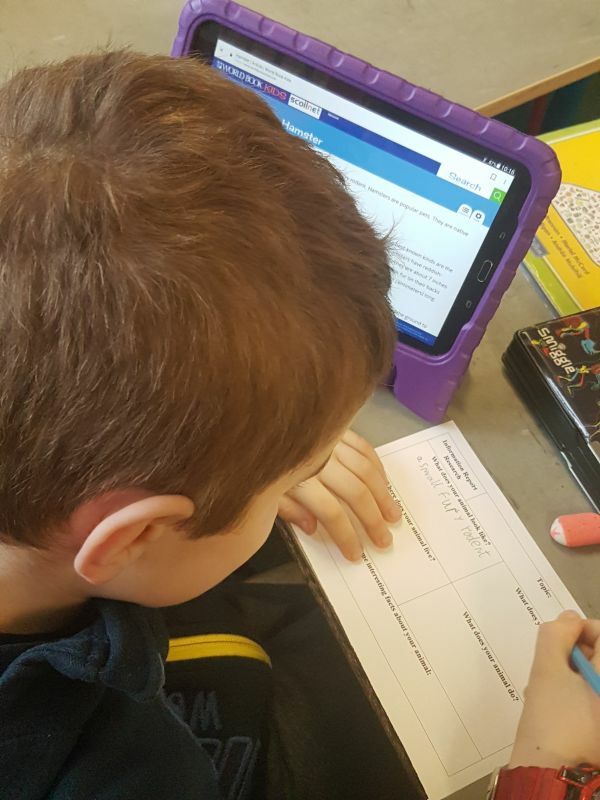 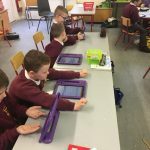 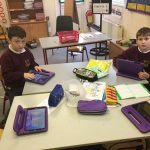 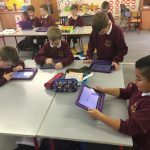 The children in Second Class had a great time trying out the new suite of tablets. 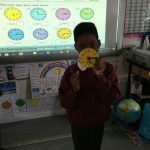 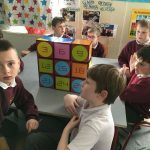 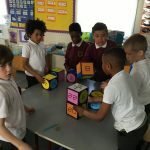 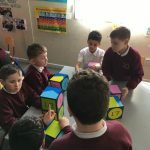 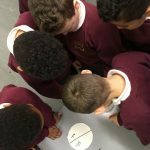 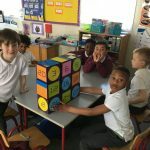 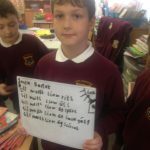 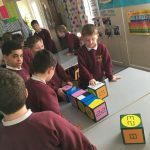 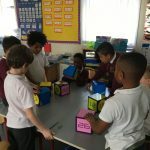 They had a go at coding, wordgames and writing a few memos! 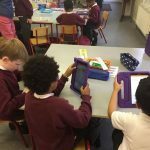 These children will certainly have no trouble keeping up with the digital age!